Daystar's DS-05A solar meter brings “point and read” simplicity to the measurement of solar irradiance. 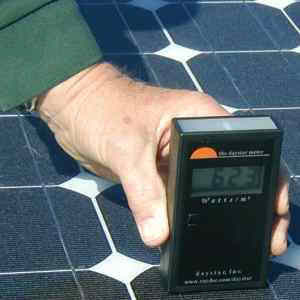 Just turn the meter on, point the sensor at the sun, and obtain a reading in watts/square meter. Each meter is hand calibrated so you can rely on the accuracy.